What would cause an eighteen-year-old old senior class president and homecoming queen from Nashville, Tennessee, to disobey and disappoint her parents by forgoing college, break her little brother’s heart, lose all but a handful of her friends (because the rest of them think she has gone off the deep end), and break up with the love of her life, all so she could move to Uganda, where she knew only one person but didn’t know any of the language? A passion to make a difference. Katie Davis left over Christmas break her senior year for a short mission trip to Uganda and her life was turned completely inside out. She found herself so moved, so broken by the people and the children of Uganda that she knew her calling was to return and care for them. Her story is like Mother Teresa’s in that she has given up everything—at such a young age—to care for the less fortunate of this world. Katie, a charismatic and articulate young woman, has gone on to adopt 14 children during her time in Uganda, and she completely trusts God for daily provision for her and her family, which includes children with special needs. To further her reach into the needs of Ugandans, Katie established Amazima Ministries. The ministry matches orphaned children with sponors worldwide. Each sponsor's $300/year provides schooling, school supplies, three hot meals a day, minor medical care, and spiritual encouragement. Katie expected to have forty children in the program; she had signed up 150 by January 2008; today it sponsors over 400. Another aspect of the ministry is a feeding program created for the displaced Karamojong people—Uganda's poorest citizens. The program feeds lunch to over 1200 children Monday-Friday and sends them home with a plate for food; it also offers basic medical care, Bible study, and general health training. First of all, I normally do not read any type of non-fiction books. When I read, I read as a means of escape, for fun, for romance, for laughter. Non-Fiction doesn't normally satisfy those things for me. But, when my amazing 18 year old niece sent me a text from the beach asking me to please read this book, I had to do it. For her, there isn't much I wouldn't do! Nephew, too! (I'm not forgetting about you, Roo!) I thank Jesus that He impressed upon her heart that I needed to read this book, because it changed me. I don't usually go into a story looking for life lessons, or anything of the sort. I didn't with this book either, to be honest. But from the Foreword, reading the story of the very sick little girl who sat in silence while having jiggers cut out of her feet, I knew something would change within me during the course of the story. 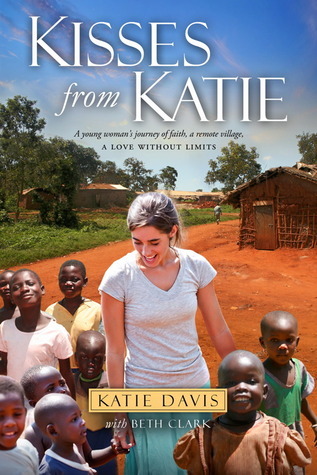 Katie Davis was just out of high school when she moved to Uganda. God called, and she answered. She was scared, but from the minute she set foot in Uganda, she was home. And she has been following God since, in every little thing He asks of her. From the smallest gesture, to the biggest life commitment of adopting 13 little girls. She has created an organization, Amazima, that has grown into a huge non-profit that has made it possible for thousands of young children to go to school, to have a meal at least once a day, to have a new school outfit, a notebook and a pencil. The lives that Katie has changed are innumerable, and I sit here in South Carolina, so far away from her and the work she is doing, but she has changed me as well. I'm not going to tell you the many stories that are in this book, the many ways that Katie adapted to God's Will for her life, the many children she brought to her home and fed and clothed and doctored. It would take away from the power and the message of this story. This is one that, no matter how hesitant you may be of non-fiction, you should just try. If you are in need of a renewal of Faith, pick up this book. If you are searching for a way to help the many, many of God's people that need help, pick up this book. If you want to have your life changed forever, pick up this book. It is so incredibly worth it. I loved Kisses from Katie, beginning to end. I laughed out loud and I cried out loud. I cried tears of immense joy, anger, heartache. It isn't a make believe story, or a fairy tale. It is a true to life story of a young woman with courage, a heart of gold and a heart on fire for God. I loved every minute of it, and I hope that, if you ever get the chance to read this, you will too!